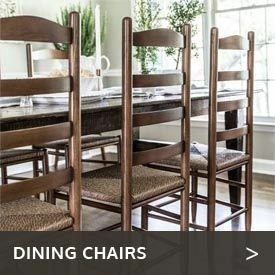 Whether you seek to add a gracious note to your dining room, wish to entertain guests in comfort and style at your bar in the den or your breakfast nook in the kitchen or just want to add a touch of country to your home, the indoor wood dining chairs and bar stools available at Cedarwood Furniture give you a host of options. We carry a variety of chairs suitable for dining or just relaxing with friends and family. 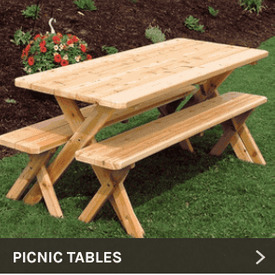 Choose from numerous designs, including rustic cedar log-style furniture as well as stylish ladderback chair and stool designs, and chairs with or without arms. 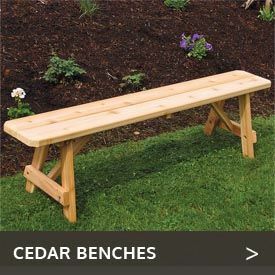 These chairs and stools are available in beautiful, durable ash hardwood assembled in the U.S. to last a lifetime as well as aromatic, attractive cedar wood that’s naturally durable. Many of these items are available unfinished or in your choice of attractive finishes, making it easy to match any indoor decor.